GRIP Hands-On Preview - Has Rollcage Returned? Frequently referred to as the spiritual successor to the Rollcage games, GRIP is a futuristic racer that is attempting to reintroduce the old-school combat racing style. There are always risks with trying to revive older genres, particularly when trying to cater to the demands of players today. 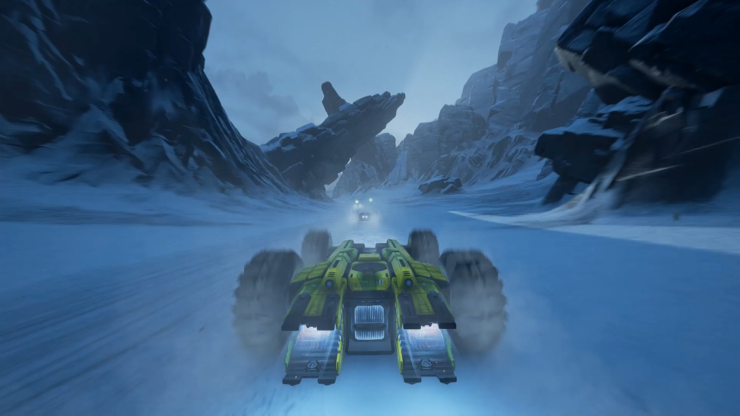 Thankfully, it appears as though GRIP’s developer, Caged Element Inc., are not only interested in reinvigorating a Rollcage-esque title but are also open to input from the community via Steam’s Early Access programme, where user reviews are very positive (91%) so far. First pitching the idea and launching a funding campaign back in 2015 (when we also interviewed the developers), GRIP feels as though it still has a way to go before it will be ready for full release. That said, Caged Element have announced that the game will be getting a full multiformat physical and digital release later on this year for PC, PlayStation 4, Xbox One and Nintendo Switch. Featuring a single player mode against the AI, split-screen for playing with a friend and an online versus mode, GRIP certainly offers something for everyone. The game is currently boasting ten racetracks, three arenas and fifteen Carkour (yes, it is seriously called that) courses, which sounds relatively small; however, I suppose that’s not too bad considering the game’s £15.99 ($19.99) price tag. I had the opportunity to test out two different tracks, one of which was a dry, desert-like course, whereas the other was a snowy track. Both tracks were quite open, allowing ample room for overtaking other players, balanced by a number of obstacles in narrower tunnels and tighter corners. Once you build your speed, cruising along on the ceiling is easily the most stylish way to travel through each of the tunnels. 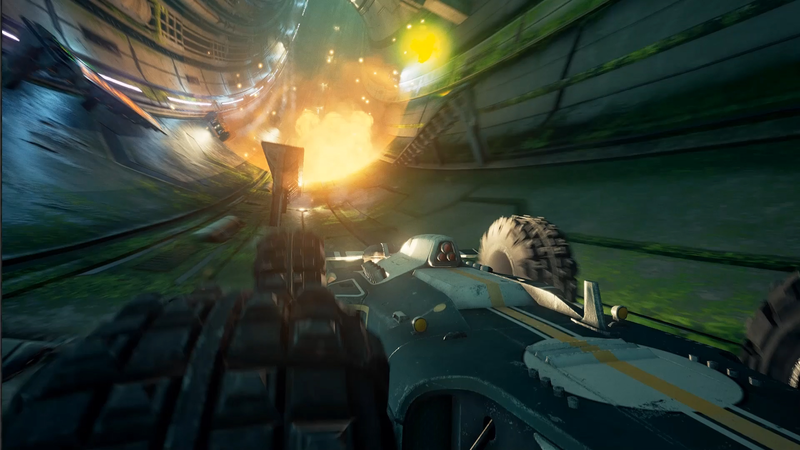 As expected, GRIP implements a number of pick-up items on the tracks to provide players with a variety of different power-ups and weapons. The preview build they had at EGX Rezzed didn’t feature a proper tutorial so most of my experience with the power-ups consisted of me driving over the glowing items and trying to make sense of what they did. GRIP features missiles that allow you to lock onto opponents, guns that fire as you gain on other vehicles and even shields to negate some of the damage. Most of these power-ups had a notable impact during each of the races, although at points it seemed as though the game didn’t even require the power-ups for players to drastically change positions in the race. I managed to sit quite comfortably in first place in the single-player mode against the AI until the final lap. Here, I clipped the edge of a tunnel that sent my vehicle into a spin so extreme that I landed on a completely different part of the track, behind all of the other cars. I managed to climb from tenth back to first in the final thirty seconds of the race, primarily by out-maneuvering the AI, so if you’re somewhat competent at racing games, you should find the driving to be easy to adapt to. With full controller support scheduled in the next update in the PC version and with steering wheel support to be added later too, players will have the option to play this game however they want. 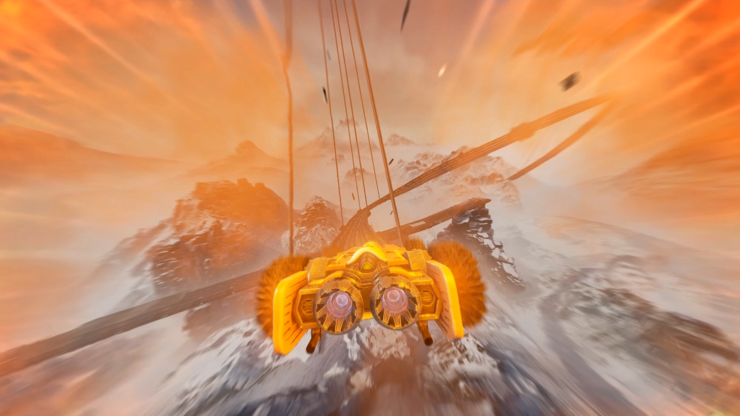 Despite GRIP hitting most of the criteria for a solid combat racing game, there are still a number of areas that will undoubtedly be improved before the game’s release. I believe that I played the console version of GRIP at EGX Rezzed and having tested it out in both single player and multiplayer, the frame rate was capped at 30FPS, and even dropped below this threshold when there was a lot happening on the screen. I was expecting the game to perform a lot better than this, considering how long it has been in development for, although it’s worth bearing in mind that this isn’t the final version of the game. I imagine this will be fixed by launch and it shouldn’t be a problem on PC anyway. I think it’s fair to say that fans of the Rollcage games have a new title to be excited about. With ONRUSH on the horizon, it will be interesting to see how much attention GRIP is able to retain, though. Of course, these racers are offering two slightly different experiences, with ONRUSH attempting to evolve the genre and GRIP playing tribute to a classic era in racing game history. Nonetheless, I’m looking forward to playing both again once they release.